Fall approaches faster than any of us would like. The summer season is great. However, it’s time to consider what you need to do to keep your truck in tip top shape for the fall and winter season. Fall is chilly and rainy, but winter is where the true work is. It’s very important to prepare your truck before the fall and winter so you don’t get caught in a surprise snow storm. Normal situations become life threatening in winter. So, how to prepare? We’ll tell you! Is your engine running right? Have you had an oil change and a tune up recently? It’s time to do so now, and then do so once again before the first winter storm hits. You do not want to break down in cold weather in a place you’ve never been. Engine maintenance is important all year long, but in winter it is one of your priorities to assure your own safety and the safe delivery of your cargo. Along with checking the engine, check over the body of the truck. Over time, we all know that the body of any vehicle rusts. This is especially true with trucks that face tough conditions and long hauls. Make sure your truck is not rusty and that there are no deep scratches or dents that went through the protective coating on the truck. This is a gateway for rust if you don’t already have it. Never ignore rust, as it spreads throughout the frame and body before you know it. Take care of small rust problems immediately, and make sure to coat any deep scratches or dents with a layer of paint and protective coating. Alternatively, get the entire panel re-painted and coated for best results. Once you’ve covered the outside of your truck, it’s time to take a step inside. Why does it matter what you do inside? It’s not affected by the elements, right? Unfortunately, the cabin is affected by the outside. A prime example of this is the air conditioner/heater/or fan problem. In some weather it’s obvious what to do to stay sane and comfortable while driving long-distances, but in other situations it can be uncomfortable and cause health problems by not being prepared. In fall weather, it is not warm enough to turn on the heater, but it is cold enough to make your fingers stiff holding onto the wheel. Your body also becomes tense as it tries to stay warm. To combat this, bring gloves or cover your steering wheel with a warm cover for the fall and winter. Make sure to wear a hat, coat, warm pants, and any other gear necessary when you’ll be inside for long hours. 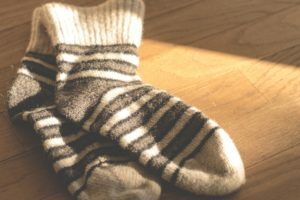 If you don’t wear these items, make sure to bring them in case you need them or you become stranded and need as many items on as possible to keep warm. Remember, layering the right fabrics is the key to staying warm. On that note, it’s time for the precautionary side of preparation. It’s very important that you take the precautions now to save yourself from life threatening situation when stranded in an isolated, freezing area. Prepare a box with all that you may need, lasting at least two days but more if possible, and store it inside your cabin. It doesn’t have to take up a lot of room. Include in it water, non-perishable food with high protein and calories, a flashlight and batteries, a weather radio, pen and paper, warm blankets and/or emergency reflective blankets, and a road flare if possible. Add whatever else you want to make sure that you feel safe on the road. It seems like it’s too early to worry about, but fall and winter sneak up on you, and it’s best to be prepared for any conditions when you’re on a long haul. At Osco Tank & Truck Sales, we help you with any problems you run into with your truck. 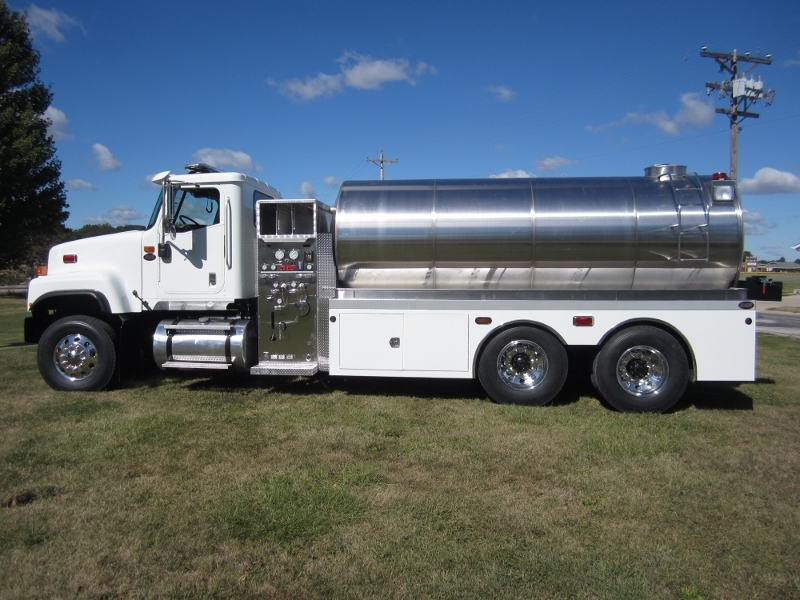 We create custom tank trucks, refurbished, or replace your stainless steel tank. We work with you to create a custom truck that fits your needs. Contact us today for more information!